Last Sunday, we introduced to you the simple facts about the upcoming solar eclipse in about a week. This week we would like to emphasize on what the experience will be like (especially for readers who will be unable to view this majestic event during totality). Essentially during totality, viewers of the eclipse will be plunged into a state of darkness - a twilight at noon so-to-say. The change of lighting is so overwhelming that animals often behave as if night had arrived early; birds stop singing, cows head back to the barn and animals prepare for a night that won't be coming - not yet at least. Also when the sun disappears, it often causes a quick change in the air temperature. During the 2015 solar eclipse in Svalbard, scientists noticed the temperature dropped about 8 degrees Celsius (15 degrees Fahrenheit) during totality. Alongside the gorgeous jets of material in the sun's corona, stars and planets may become visible. Venus, which orbits close to the sun, will become almost impossible to miss during the eclipse. During this eclipse, scientists will also be collecting data while gazing up into the heavens. 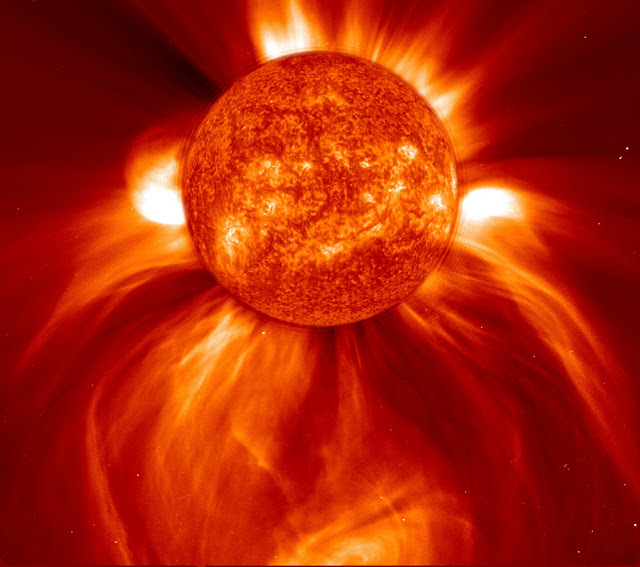 Some research includes an NCAR aircraft research initiative, a Boston University ionospheric experiment using off-the-shelf cellphone tech, and a NASA twin airplanes flight to observe the corona and Mercury. Even regular people will take part in these initiatives in some citizen science projects such as CATE through the National Solar Observatory and the Eclipse Megamovie led by UC Berkeley.